Oddities is proud to be Kansas City's #1 source for high quality riso prints, operating a model MZ 790U Risograph since 2015. Riso printing is a high speed, low cost alternative to screen printing. This process combines the ink-on-paper look of traditional screen printing with the speed and affordability of Xerox printing. Perfect for flyers, books, zines, brochures, artist editions, cards, 7" jackets, cassette & cd covers, and much more. A Risograph printer uses standardized ink colors, which can be layered to create new color mixes using varying ink output of a single color from 0-100% opacity. Imagine grayscale, only not gray. For example, 100% Blue printed over 100% Yellow results in a saturated Green; 50% Blue on top of 100% Yellow creates a softer, yellower Green. Use this to your advantage when designing your prints! The Riso lays ink down with a very appealing natural grain by default, but is also capable of printing halftones. For most Risograph printed posters, postcards, etc. turnaround is typically 3-7 business days from the date of proof approval. 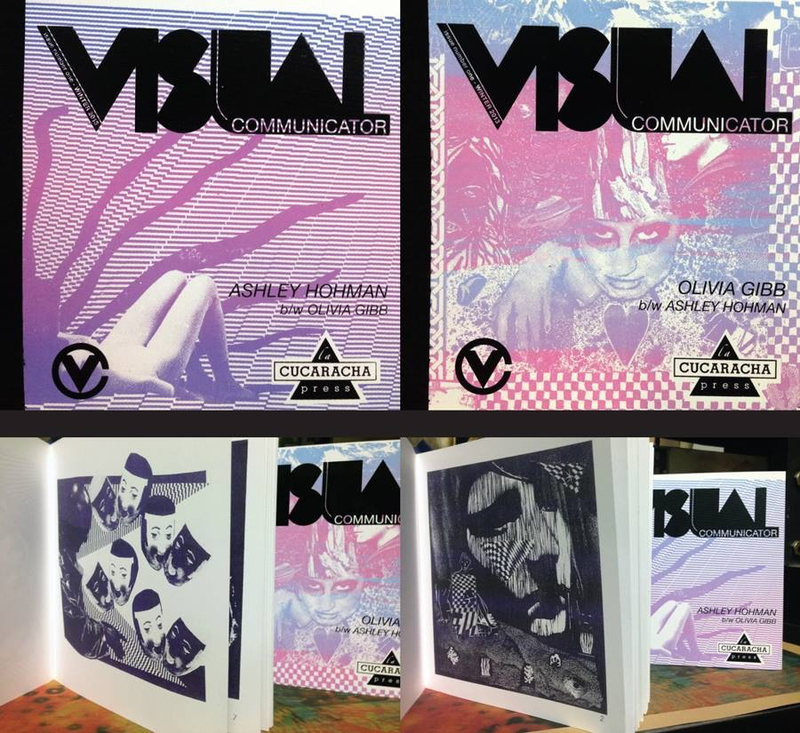 For Risograph printed booklets, zines, or other items requiring finishing and assembly, you can expect turnaround to be 4-10 business days from the date of proof approval. If you have an upcoming event or desired in-hand date, be sure to share that in your quote request so we can help quickly meet your deadline. If you need something completed in less time, rush fees can be calculated upon request. Each color is printed one at a time, just like screen printing. Being a high-speed process means the Risograph will register colors within 0-3mm of their intended target. Riso is not recommended for projects that require a large number of tightly registered color layers. Considering Riso was not originally designed as an "art-machine", the prints it makes come with some quirks that we consider a part of its charm. Each print run, no matter how large or small, has a unique feel that you can’t find any place else. Oddities Prints has the largest Riso image size available (11" x 17"). Paper weight can be anything from lightweight 20# text, up to 65# cardstock. We like to run artist editions on top-quality USA-Made stock from French Paper Co. Their paper looks great and accepts ink really well, BUT even on generic paper, your riso print will look COOL! We love working from PSD and AI the most, with each color on its own layer. We are also able to print from flattened files such as JPEG or PDF, but each layer MUST be submitted as a separate file to achieve the best print result. Individual color layers must be converted to grayscale before printing, so this is an optional step for you depending on your comfort level. If you can, include a separate layer or file with a mockup of the final art so that we can ensure your art is printed the way you envision it. Risograph is the most affordable method of spot color printmaking that we offer. This process allows for a balance between budget and appearance that other modes of printmaking simply cannot provide. Price will be determined based on the number of ink colors, quantity, paper weight, and size. Additional fees may apply for trimming, folding, binding, or other specialty processes. The larger the print run, the less expensive per-print your job will be. Need a ballpark estimate in the meantime?